Proof-Reading.com edits academic documents and essays following MLA, APA, ASA, AMA, Chicago, CSE, Turabian, and AP writing styles. The newest editions of all standard writing style manuals are on site for our expert proofreaders' reference and daily use. When clients need editing in an untraditional style, our editors also need extra time to master their guidelines for editing. Examples of non-standard styles are AAA, Harvard, APS, and any school-specific or journal-specific writing style. These particular and unique styles require not only more time, but more work and attention to detail while proofreading. Therefore, non-standard editing costs more than traditional editing, and the client needs to submit the link to the precise style guide when uploading a document. To benefit from Proof-Reading.com's expert non-standard writing style editing services, select the Other editing service at the time of submission. 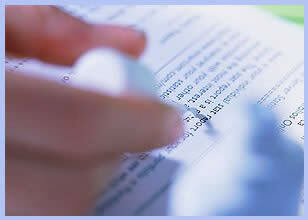 Our editors are equipped to edit non-standard writing styles and will ensure your document meet the target guidelines.